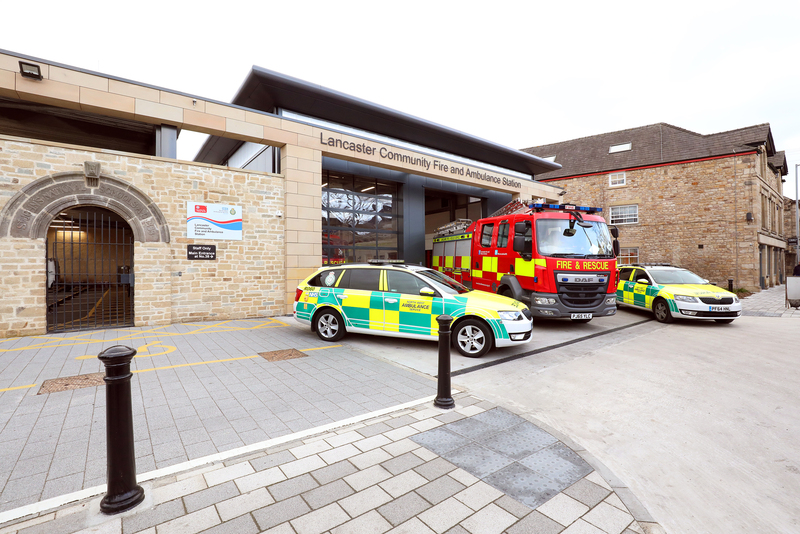 A fine new Community Fire and Ambulance Station provides a base for Fire and Ambulance crews in the City, the culmination of a project which saw the phased demolition of the original 1970’s structure on the site, the refurbishment and occupation of a former Council building next door and the building of a new structure incorporating Fire appliance room and Ambulance bays, on the site of the old station. “With the existing Cable Street Fire Station, which dated back to 1973, steadily becoming less fit for purpose, joining a purpose-built range of new buildings to fully refurbished office and training facilities in the former council building next door was the best option by far, and we’re delighted with the outcome. We’ve been taken aback by how many positive comments we’re received from members of the public on the appearance of the new combined station and how in keeping it is with our Historic City. Whilst we’ve always offered a co-ordinated and efficient emergency response, bringing Fire and Ambulance teams together under one roof means everyone continually benefits from closer working relationships and insights into each other’s work, something which naturally enhances our collective emergency response.